"Get more than just a DVD player with Cyberlink PowerDVD." If you've come here looking for the CyberLink PowerDVD that you know and love, you are in for a bit of a surprise. 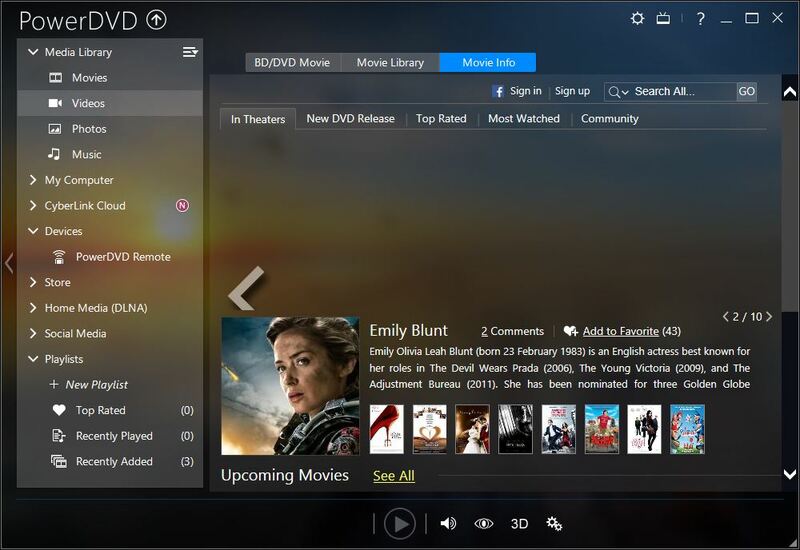 CyberLink's PowerDVD is now more than just a DVD player. 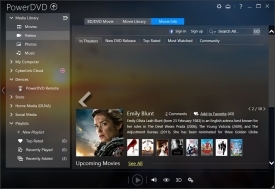 It is a full media player where you can store and playback your favorite movies, videos, music, and pictures. I've got to admit, this review may be a little biased. You see, I am all about GUI (graphical user interface) design and when an application gets that right, I get a little soft on my judgment. That is not to say that PowerDVD isn't a great application deserving of the high rating that it will receive, but it does mean that the rating may have been juiced by its great interface. You truly have to see it to believe. In fact, stop reading this review right now and check out the screenshots of PowerDVD right above. You might fall in love and download it just because of the interface. And if that doesn't get you, maybe the inclusion of cloud services will. 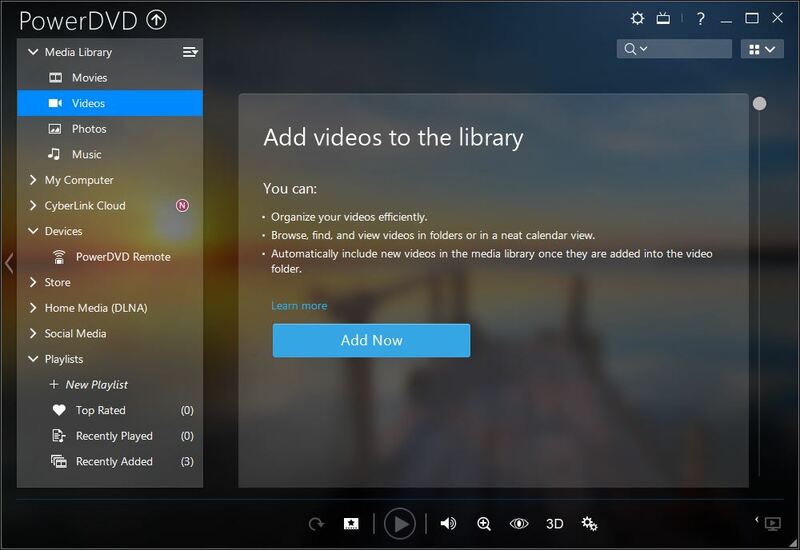 That's right; CyberLink PowerDVD includes cloud services that allow you to back up your movies, videos, music, and pictures so that you can have access to all of your great content where ever you are whenever you need it. It's really a win-win all around with this program. 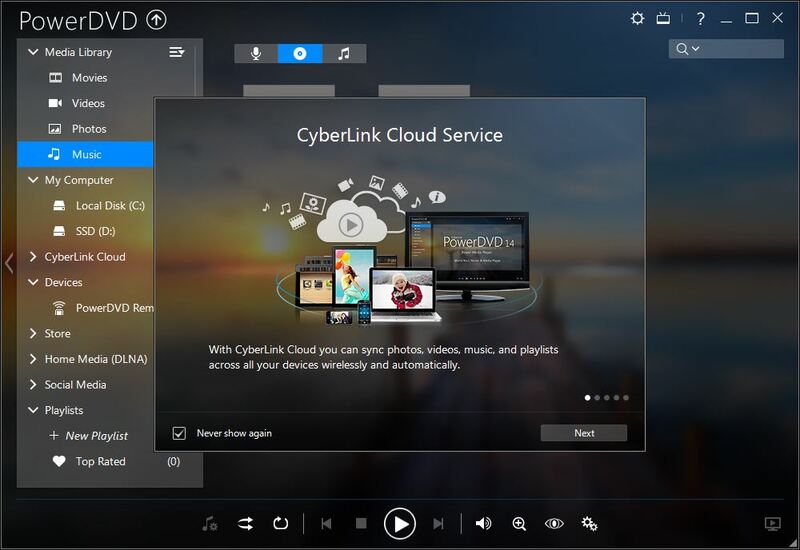 CyberLink PowerDVD 14 is a great media player application that allows you to playback all of your media files, sync to a cloud service for unlimited access, and look good while it's doing it. What more could you possibly want?